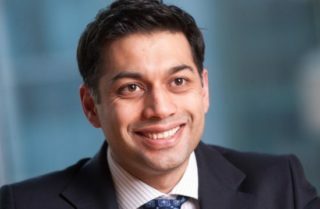 Arun is a member of our Advisory Board, specialising in compliance and litigation, the Director of Tenet Compliance & Litigation, and a Trustee Director of the Fraud Advisory Panel. He advises both Today Translations and our clients in compliance and litigation matters, and helped us develop the AMLiss™ solution that mitigates the fraud risks associated with document translation. Arun is a practising solicitor and one of very few to be awarded an International Compliance Association expert level qualification (Prof. PGDip(FCC)) in financial crime compliance. A former head of the commercial fraud team of a top 20 National law firm he is the founder and director of Tenet Compliance & Litigation, a niche law firm. He acts for a range of clients from multi-billion pound turnover corporations domestically and internationally, principally advising on financial crime compliance issues, working closely with Board members and in-house legal and compliance teams. He also helps small and medium-sized companies, not for profit organisations and on occasion for individuals to protect themselves from crime and recover losses arising out of dishonest conduct. Arun holds a Bachelor of Laws from Kings College London, and a Professional Postgraduate Diploma in Financial Crime Compliance from the University of Manchester.